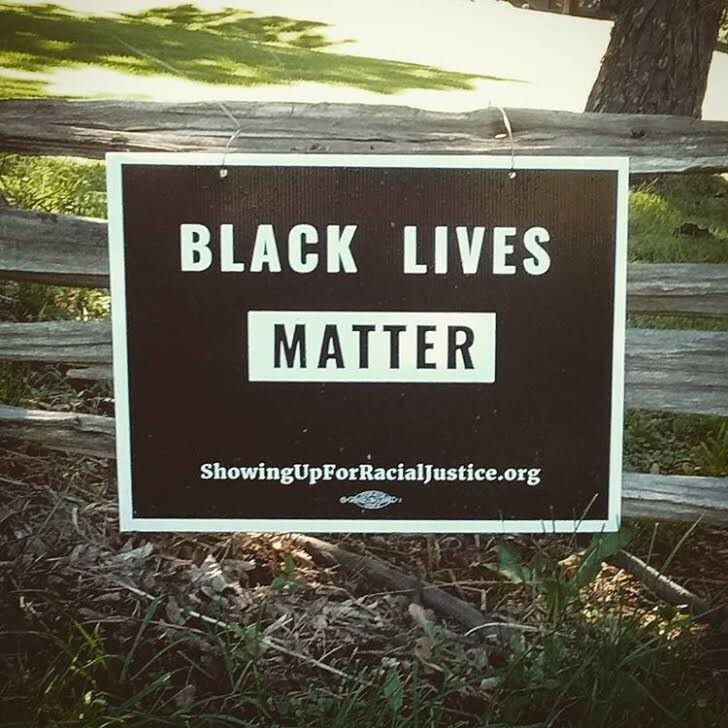 Jane Williamson planted the first “Black Lives Matter” sign on Route 7 five months ago. She figured it was consistent with the mission of the family that settled on the spot 200-plus years before that: The Robinsons were white Quaker abolitionists who opened their home to freed and fugitive slaves. Ten stolen signs later, the executive director of the Rokeby Museum in Ferrisburgh has decided enough is enough. One man stopped in to tell Williamson about the sign, thinking someone had vandalized the property by erecting it without her consent. Williamson stunned the man by saying she’d put it up. As summer became fall, her signs kept disappearing, even after being zip-tied to a fence. When Williamson started bringing them in at night, two disappeared in broad daylight. Then Williamson heard a Black Lives Matter flag had been stolen from the University of Vermont campus. No arrests have been made, but campus police are investigating the September 25 incident as a case of misdemeanor petty larceny. Next summer the Rokeby Museum will host an exhibit on abolition, in honor of family patriarch Thomas Robinson, who purchased the property in 1792. His progeny lived there until 1961, when the Rokeby became a museum. Now it’s a National Historic Landmark. As part of next summer’s exhibit, Williamson has tentatively planned a panel discussion on the Black Lives Matter movement, which she views as a continuation of the Robinson family’s fight for civil rights. The panel, which will include local professors, authors and at least one member of the Vermont State Police, “seems to me a more substantive way of approaching the issue than just putting up a sign,” she said. That doesn’t excuse whoever used theft to try and silence different points of view, she added. “I think the message I take away from this is that there’s more active racism in Vermont than I knew,” Williamson said. A diverse sea of students, and even faculty, at the University of Vermont gathered Monday afternoon on campus to express solidarity with the Black Lives Matter movement — at the very spot where a flag with the group’s motto was stolen.